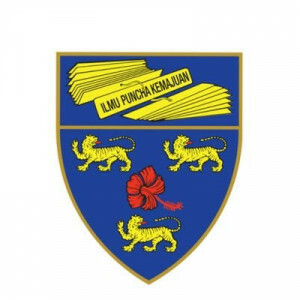 The University of Malaya derives its name from the term 'Malaya' as the country was then known. The Carr-Saunders Commission on University Education in Malaya, which recommended the setting up of the university, noted in its Report in 1948: "The University of Malaya would provide for the first time a common centre where varieties of race, religion and economic interest could mingle in joint endeavour ... For a University of Malaya must inevitably realise that it is a university for Malaya." The growth of the University was very rapid during the first decade of its establishment and this resulted in the setting up of two autonomous Divisions on 15 January 1959, one located in Singapore and the other in Kuala Lumpur. In 1960, the government of the two territories indicated their desire to change the status of the Divisions into that of a national university. Legislation was passed in 1961 and the University of Malaya was established on 1st January 1962. On June 16th 1962, University of Malaya celebrated the installation of its first Chancellor, Tunku Abdul Rahman Putra Al-Haj, who was also the country's first prime minister. The first Vice-Chancellor was Professor Oppenheim, a world-renowned Mathematician. Currently, His Royal Highness The Sultan of Perak Darul Ridzuan, Sultan Nazrin Muizzuddin Shah is the Chancellor of the University of Malaya. YBhg. Datuk Ir. (Dr.) Abdul Rahim Hj. Hashim was appointed as the twelfth Vice-Chancellor of the University of Malaya on 1 November 2017.